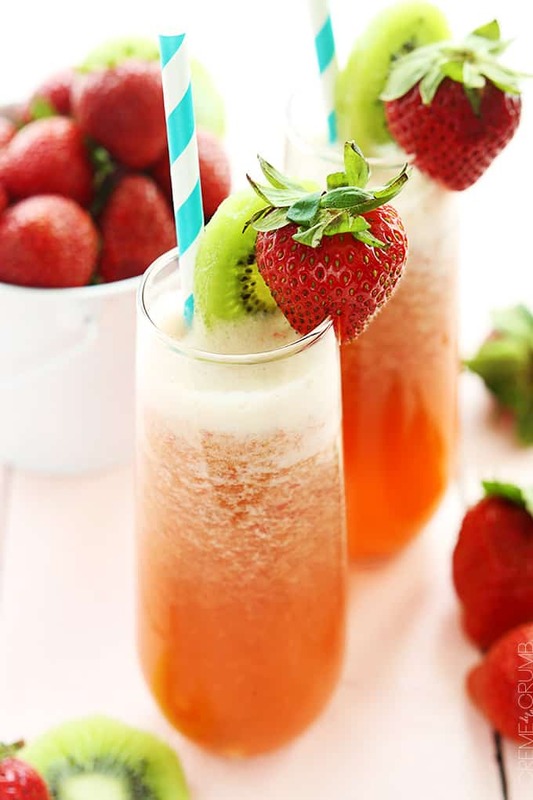 Fresh strawberry kiwi lemonade – so refreshing and perfect for summer! Woahhhhhh summer, just slowwww down. When the weather starts to get warm, we open all of the windows in the house and let a little breeze come through. It usually keeps things cooled down enough and we don’t notice the heat so much. Yesterday we did the same thing, expecting to enjoy the temperature in the house and avoid turning on the AC if possible but it was toasty by the late afternoon. And by toasty, I mean HOT. So hot that when I opened my jar of coconut oil (which is normally solid) it was completely liquified. Wowza. Summer is here. Luckily, we have a couple of huuuuge trees in our backyard which faces west. I never thought I’d love two trees so much. When it’s still hot outside as the sun is starting to set, the trees keep the whole west side of the house and our raised back deck shaded nicely and cooled down a bit. My husband and I sit out on the deck almost every night and my new favorite thing is to bring out a pitcher of freshly made strawberry kiwi lemonade and sip away til the sun goes down. Ahhhh c’est la vie! If you haven’t made fresh lemonade before 1) you’re seriously missing out and 2) you will not believe how easy it is. 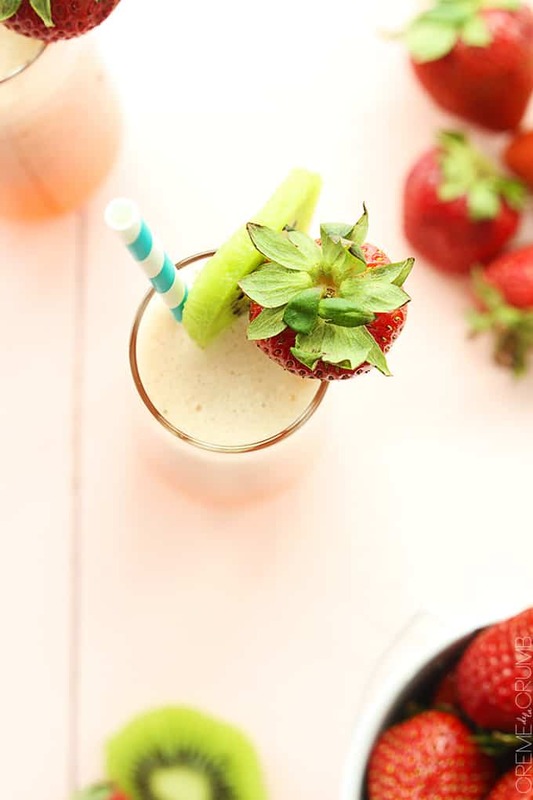 Throw in some strawberries and kiwis and you’re in for one of amazing summer drink! 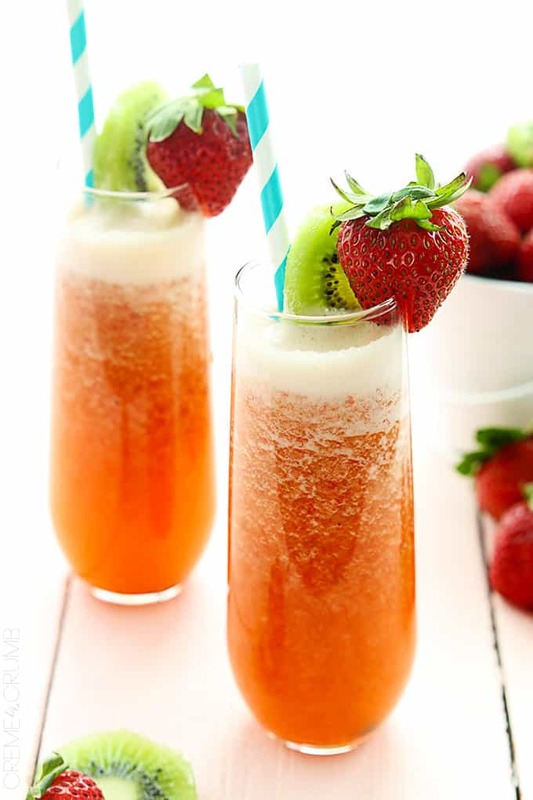 Fresh strawberry kiwi lemonade - so refreshing and perfect for summer! Combine water, lemon juice, sugar in a blender and stir. 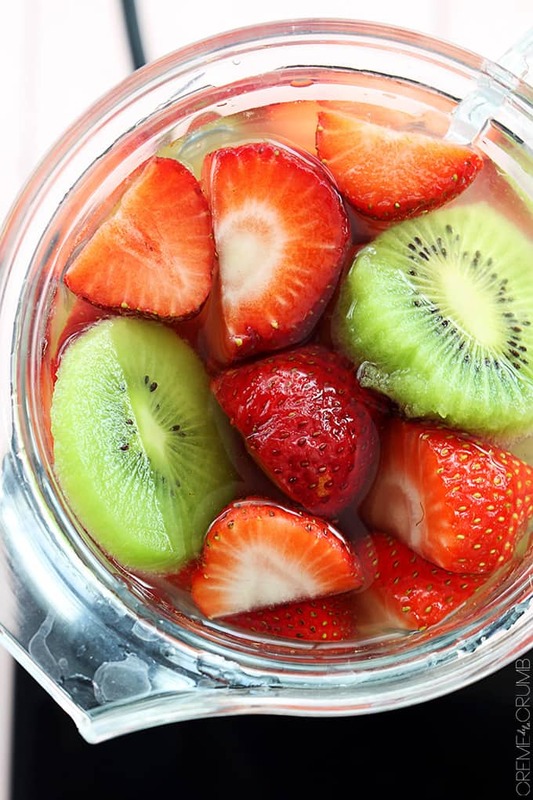 Add strawberries and kiwis and blend until smooth. If you don't care for pulp, pour the liquid through a mesh strainer to remove pulp. Chill until ready to serve. Approximately how many lemons do I need to buy? 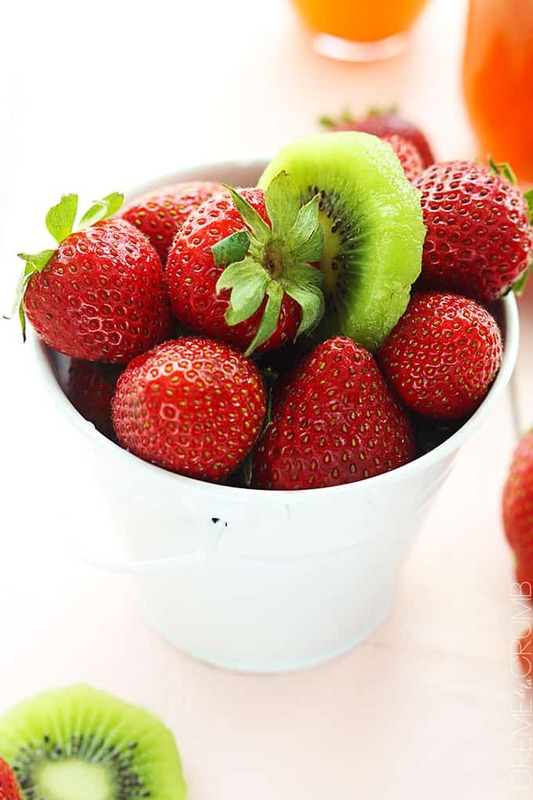 It’s almost strawberry season up north in Australia and I can’t wait to make this. I really like strawberries and kiwi together but add lemon and make it a drink and I’m all smiles. 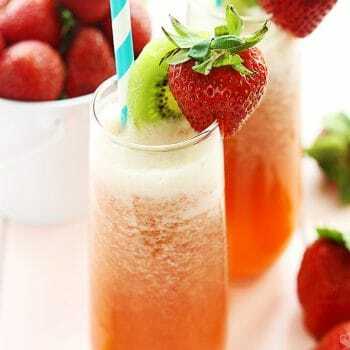 This lemonade sounds so refreshing, and I love the addition of the strawberries and kiwis! This looks so refreshing! I’m a sucker for an ice cold fruity drink! Also, the weather here is kinda bleurgh at the moment, so maybe if I make this, it will entice the sun out!? Yum – Sounds so refreshing!